Criminology is the scientific study of the causation, correction, and prevention of crime. It is an important part of the criminal justice system in all societies. For decades, renowned criminologists have been contributing to the field through research, helping societies tackle crime and terrorism. The field dates back to the 18th century, when leading theorists of criminology pushed for reforms in the criminal justice system.Crime is one of the biggest challenges faced by the human society. Millions of dollars are lost each year due to criminal activities. While the law enforcement officials work hard to fight crimes, the core of the problem can only be dealt with after a full understanding of why criminals do what they do. Thousands of students are currently preparing for challenging careers in criminology by mastering the field. Criminology is offered as an academic discipline by many universities and colleges. 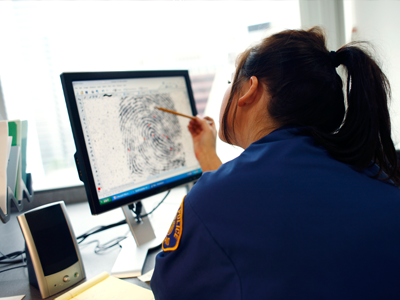 Students can pursue criminology at associate, bachelor, and master level. An associate degree usually takes 2 years to complete; a bachelor degree takes 4 years to complete, and a master degree takes 2 years to complete. Students can also opt for post graduate qualifications and certifications. Each program is geared towards helping students learn about the criminal justice system, practices of criminal law, corrections, criminal psychology, and criminal profiling. Criminology curriculum will vary from college to college, and will also be dependent upon the level of program. For example, students enrolled in an associate or bachelor degree will focus on fundamental areas of criminology, whereas a master degree in criminology will entail advanced level subjects. Another option is pursuing an internship in criminology. This is also geared towards providing students with practical know-how in a work-setting. Students are required to earn a specific number of credit hours to complete a degree. Each course carries a number of credit hours that can range from 2-3. Completing assignments, projects, and passing examinations is also crucial for successfully completing a program. Institutions are also offering online criminology degrees. This mode of learning is accessible and has enabled many working students and professionals to pursue higher education conveniently. Students require a computer and a reliable internet connection to enroll in a criminology degree online. The coursework is taught with the help of learning software, multimedia presentations, slideshows, online lectures, classroom conferencing, and audio recordings. The career prospects will vary from place to place and will also depend upon the level of degree one has earned. Associate degree holders can only qualify for entry-level jobs in organizations. The income potential is also less as compared to graduate degree holders. With a bachelor or master degree, students may qualify for diverse career paths in the federal law enforcement, corrections and probations, and criminal investigations sector, etc. Some careers in criminology can be more challenging that others, and may require more time on the field. For example, police officers must undergo extensive physical training and pass certain tests to qualify for the job. The income level will vary from job to job and will be affected by a number of factors such as specialization, state, agency, and degree.